In 1971, Bradford Hildebrandt, then a Legal Administrator for a law firm in Newark, New Jersey, had the idea of forming an organization of Legal Administrators on a national level. He came to Fort Lauderdale, Florida, to have an opening convention. Administrators from several Miami law firms attended that meeting. They later discussed the possibility of forming a local chapter. It took quite a while to find ten administrators in Miami to incorporate the local chapter. 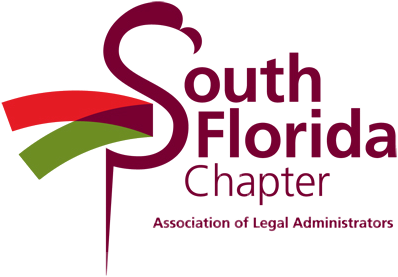 On June 1, 1972, the South Florida Chapter of the Association of Legal Administrators was the second chapter to become a member of the National Association of Legal Administrators. The Chapter now has nearly 200 members.